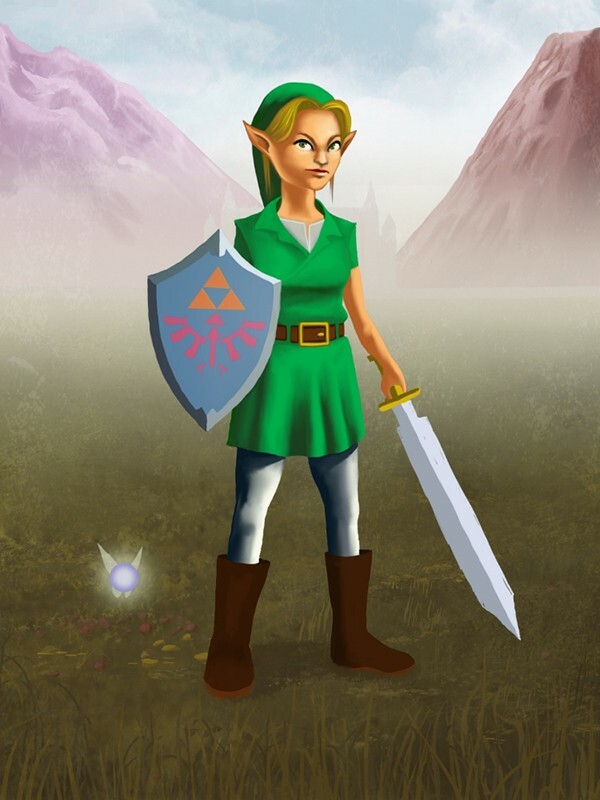 I was recently asked to create an homage illustration depicting the beloved Nintendo Character Link as a girl. The printed illustration was used as an award for the winner of the Female Link Jam, where members of the video-game community “Game Jolt” compete to create fan games based on a theme. For the assignment, I recreated female Link based on the version of the character from Ocarina of Time. One of the wonderful aspects of the character Link is that they already have a very androgynous look. It was a really fun assignment working with one of my favorite characters.